On Friday SEC has finally approved the crowdfunding rules. Every real estate professional can now raise up to $1 million annually from non-accredited investors. 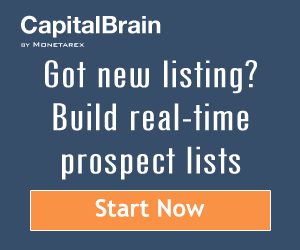 Average private deal that Monetarex tracks is $12 million. Is it reasonable to assume that a sponsor could put together three to five middle-market deals a year? Then would $1 million crowdfunding cap make any sense for a $50 million annual dealflow? Would this new rule approval make any difference for the commercial real estate industry? Let’s take a closer look at the data. The explosive growth of crowdfunding within the real estate sector due to the changes brought by the JOBs Act together with recent significant high profile investments in real estate crowdfunding platforms has drawn much attention to new online models for accessing and investing in the asset class. In a historical context, JOBs Act changes represent an extension of the evolution and innovation of real estate capital-markets product. It’s the democratization of participation by small investors in commercial real estate, and it’s great because most small investors can’t participate in CRE investment directly—it’s too expensive. Industry professionals believe these changes started to take place a long time ago, since the 1960s. The industry has transformed over the last 20 years as large developers and other operators of commercial real estate started to introduce new forms of capital raising and investment and changed their organizational structure to include participation either through joint ventures or funds to give institutional investors access to assets they were developing. Now, crowdfunding is gaining popularity becoming a part of the business strategy and the capital stack. There could be an institutional arm, a private equity component and crowd-financing or crowdsourcing component if sponsors want to extend their capital reach into that segment. In theory, commercial real estate crowdfunding should open up opportunity on the equity side, provide for more direct-investment opportunities and bring more transparency to the market. Monetarex analyzed 255 private placement filings across 27 real estate crowdfunding platforms in its sample space. The goal was to determine whether crowdfunding has been growing in popularity among sponsors. 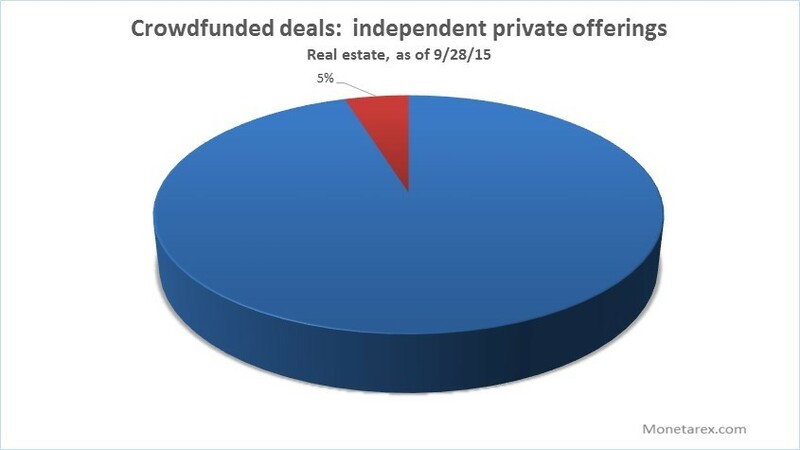 The result: crowdfunded share of all real estate transactions has been around 0.4% for the past two years. There are reports that loudly state that the real estate crowdfunding industry has grown 250% in the past two years. But as did the commercial real estate industry as a whole. The market has been hot. Can this be the only reason for the growth? The data suggests crowdfunding grew with the market not ahead of it. On the other hand, if the rate did not decrease it indicates that the crowdfunded equity has possibly became a part (a small part) of the permanent capital stack. Only 5% of private real estate firms utilize crowdfunding independent of real estate tech platforms. The data shows that if the deal is crowdfunded, overwhelming majority of the sponsors would use an established tech platform to market their deals and only 5% of sponsors would put up their own website to market deals themselves. Realty Mogul, Realty Shares, and iFunding have been among the most active platforms in 2014 and 2015. Looking for resources to help you find private commercial real estate dealflow or investment partners? Sign up for a free trial to access the in-depth real-time profiles on over 2,000 private companies.